Gil Fried is a Professor at the University of New Haven, College of Business, in the Sport Management Program. He also coordinates the facility management concentration, the graduate programs, and Chairs the Sport Management Department. 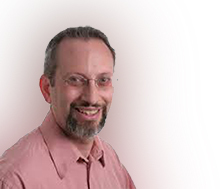 Professor Gil Fried is a specialist in sport law, finance, and facility management. He received his masters in sport management and his law degree from The Ohio State University. He has written over ten books on sport risk management, sport facility management, and sport finance. One of the books he wrote is the Academy for Venue Safety and Security (AVSS) textbook used by the International Association of Venue Managers (IAVM). His other textbooks are used in over 140 universities in the United States and have been translated into Chinese, Russian, and Korean. He lectures nationally on financial risk management, facility risk management, crowd management/venue safety, and sport violence. His books and lecturing are supplemented with writing numerous industry articles. He has published over 100 articles focused on facility related concerns. He is regularly quoted in industry publications and periodicals. In 2011 he was awarded the prestigious Betty van der Smissen Leadership Award from the Sport Recreation and Law Association (SRLA) for outstanding contribution to the field of sport law education. In 2012 he was awarded the Sport Management Outstanding Achievement Award by the National Association of Sports and Physical Education (NASPE). This award recognizes professionals who have made outstanding contributions and provided leadership in the field of sport management. Professor Fried coordinates the Patron Management Institute and developed their Certificate in Patron Management Program (CPM). The CPM program is the only multi-disciplinary training program developed through and with industry leaders and designed to ensure participants learn and internalize the material. He has handled a large number of sport/music industry cases (through his company Gil Fried & Associated, LLC) and has worked as an expert witness in various cases from stadium stampedes to foul ball cases. Some of his cases have involved significant national attention such as the Camp Randall stampede (University of Wisconsin), the Aramark Meadowland drunk driving case, the Wal-Mart Black Friday crowd case, the basketball crowd rush case (Kaye) in Phoenix, the Stow assault case in Los Angeles, and the Aurora theater shooting cases. He also serves on several board of directors of sport related businesses and organizations.